Goodreads says, "November, 1941. She's never even seen the ocean before, but Eva Cassidy has her reasons for making the crossing to Hawaii, and they run a lot deeper than escaping a harsh Michigan winter. Newly enlisted as an Army Corps nurse, Eva is stunned by the splendor she experiences aboard the steamship SS Lurline; even more so by Lt. Clark Spencer, a man to whom she is drawn but who clearly has secrets of his own. Eva's past--and the future she's trying to create--means that she's not free to follow her heart. Clark is a navy intelligence officer, and he warns her that the United States won't be able to hold off joining the war for long, but nothing can prepare them for the surprise attack that will change the world they know.In the wake of the bombing of Pearl Harbor, Eva and her fellow nurses band together for the immense duty of keeping the American wounded alive. And the danger that finds her threatens everything she holds dear. 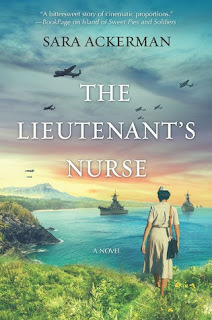 Amid the chaos and heartbreak, Eva will have to decide whom to trust and how far she will go to protect those she loves.Set in the vibrant tropical surroundings of the Pacific, The Lieutenant's Nurse is an evocative, emotional WWII story of love, friendship and the resilient spirit of the heroic nurses of Pearl Harbor. It's late November of 1941 and all history buffs know that in a few days the attack on Pearl Harbor will occur. Eva Cassidy is aboard a ship to head to Hawaii as a nurse in the Army Corp. As much as she doesn't want to leave her sister behind, she had to move on to find work and escape the unfortunate events that occurred to her back home in Michigan. Hawaii will be way better than her sleepy her sleepy hometown, right? While aboard the ship, she meets Lieutenant Clark Spencer, a man who has attracted her attention from the very first sight. She is drawn to him, even though she knows it's probably a bad idea and he seems to be just as secretive as she is. Lieutenant Spencer works for the Navy and is fluent in Japanese, which makes him valuable. He learns a few things while aboard the ship that indicate that perhaps Japan is on the move with its sights set on Pearl Harbor. Meanwhile, Eva and Lieutenant Spencer spend more time together and they both can't deny that there are sparks, but there's one problem. Eva has a boyfriend waiting for her in Hawaii. Time ticks on and as we get closer to December 7, 1941 disaster strikes challenging both Eva and Clark in ways they never imagined. Sara Ackerman's The Lieutenant's Nurse is a compelling historical novel perfect for fans of romance, American history, and non-stop action. I really liked Eva from the start in The Lieutenant's Nurse. 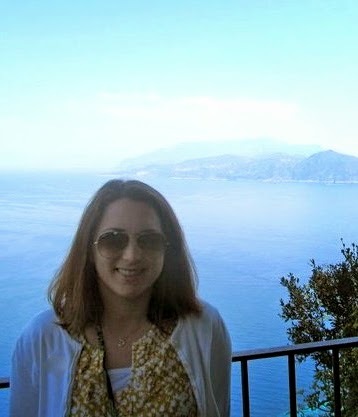 I knew there was a good reason she left Michigan, but the details weren't revealed quickly. This definitely piqued my curiosity. I liked that she was smart, determined, and a go-getter. She wasn't the meek and mild type, which if you are going to be a nurse in the Army Corp, I imagine that is a good thing. Eva is running from her past, but she's headed straight for Pearl Harbor, which obviously is going to be an even more challenging situation than facing the demons in her life. I adored Eva's relationship with Lieutenant Clark in The Lieutenant's Nurse. I was rooting for them from the beginning despite the fact that she had a boyfriend. 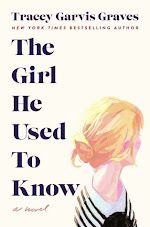 While I don't usually like novels that have a love triangle, this one worked and was done very well. Lieutenant Clark was also a great character. He wasn't just depicted as a handsome solider; he was a well-developed character and his past also held many secrets. I liked learning more about him and especially enjoyed the aspect of his job where he tried to interpret Japan's movements. Speaking of the Japanese, I was thoroughly blown away by the research that Ackerman put into The Lieutenant's Nurse. I have studied Pearl Harbor in the past, visited it, and have watched a few shows on it, so needless to say, I had a decent amount of background information on the topic. But Ackerman provides some details to the events surrounding Pearl Harbor that I didn't realize and that made the story that much more compelling. Pearl Harbor will forever be one of the most moving places that I have ever visited and I think Ackerman truly brought to life the devasting moments of the sneak attack and what followed. Fans of Pearl Harbor, WII stories, as well as action tales will enjoy The Lieutenant's Nurse It's going down as one of my favorite historical novels of the year and I can't wait to read more of Ackerman's work in the future. I love WWII historical fiction, and Pearl Harbor up close is one I don't see a ton of - definitely adding this to my TBR! Great review! I think you'd like it, Angela. Thanks for dropping by!